As much as it is magical, the holiday season can take a real toll on your credit card statement. Between gifts for everyone from your mom to your local dry cleaners to holiday party outfits, late December flights, and Black Friday deals, it's no wonder the last few months of the year are the ones where people typically spend the most money. If, on top of it all, you're hosting Thanksgiving this year, the last thing you need is an exhaustive list of kitchen essentials and Thanksgiving décor. 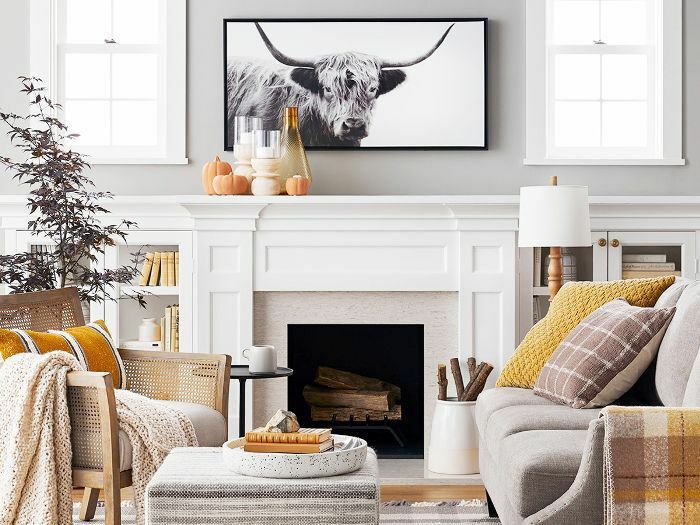 That said there are easy ways to turn your space into a festive home that's ready for entertaining, and it all starts with the new Target Thanksgiving décor collection. Filled with chic speckled accents, soft furnishing in warm ochre tones, and hosting essentials, Target has everything you need to transform your home on a budget this holiday season. You don't even have to scroll through all 25 pages of products—we handpicked our favorites below. 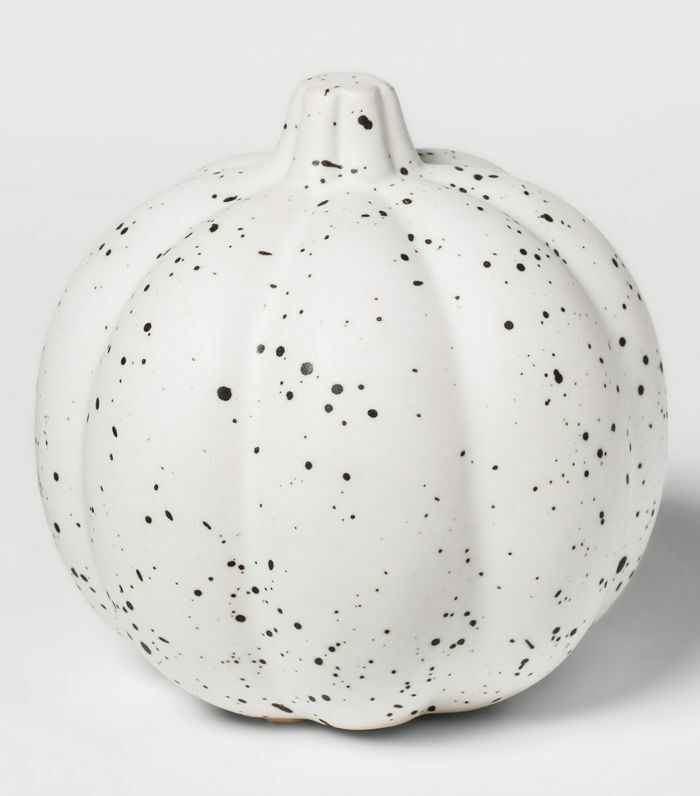 The speckled trend is in full swing at Target this season. Bring it into your Thanksgiving décor with these adorable mini pumpkins. 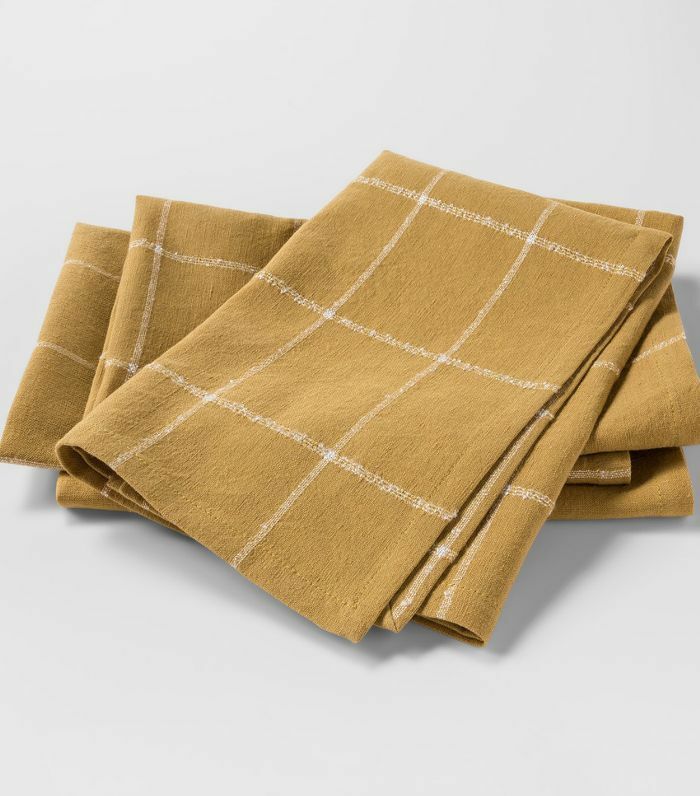 Consider this the modern version of traditional plaid napkins—we love the trendy mustard color. 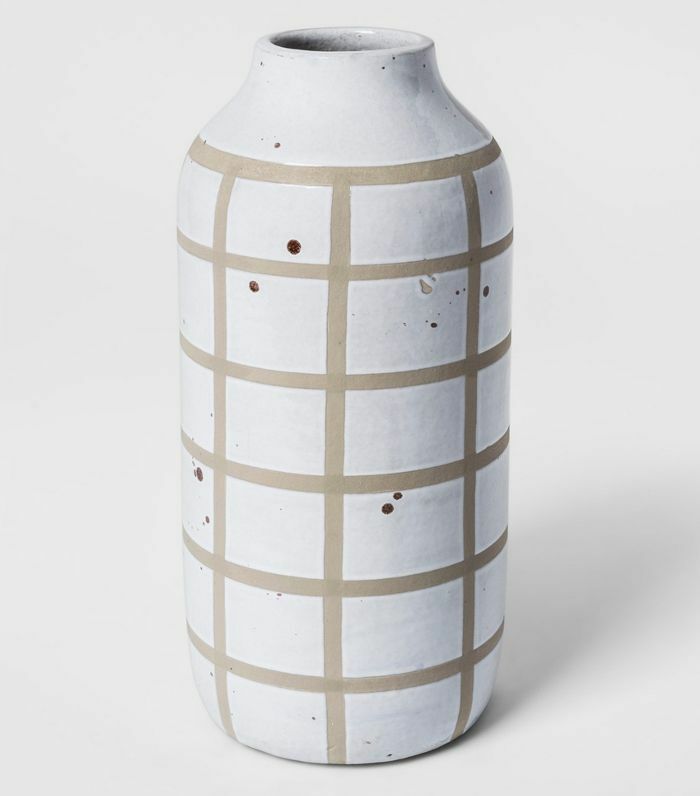 Target's own take on the stoneware and handmade ceramics trends shine through in these chic vases perfect for fall florals. 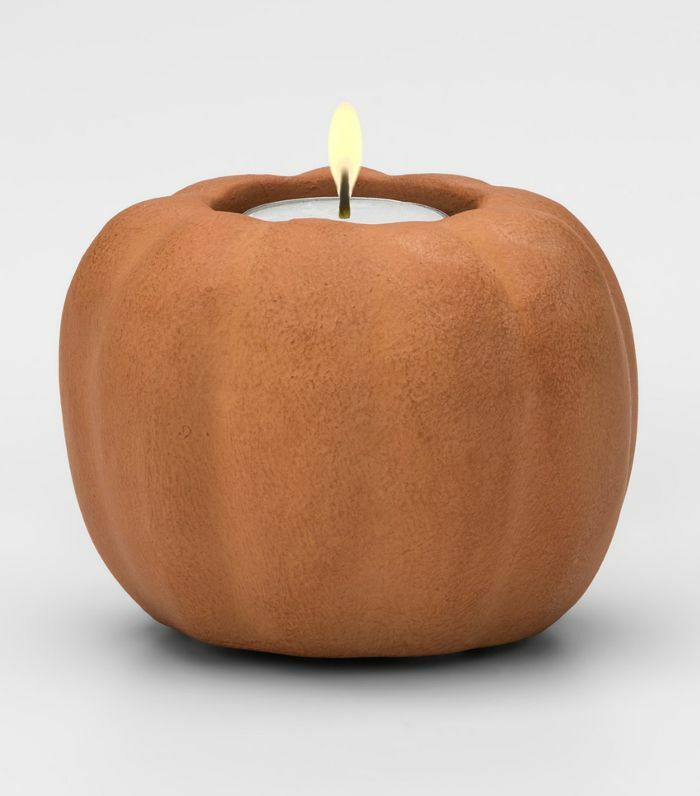 Infuse your Thanksgiving décor with the terra-cotta trend this year—these mini pumpkin votives will do the trick. 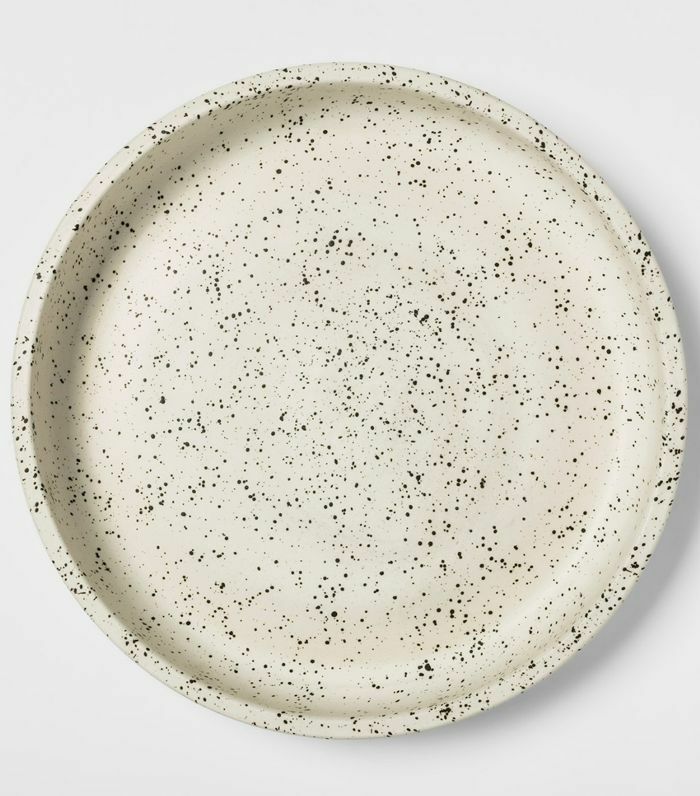 Use this chic speckled tray on your coffee table to hold appetizers or as a mini champagne station. 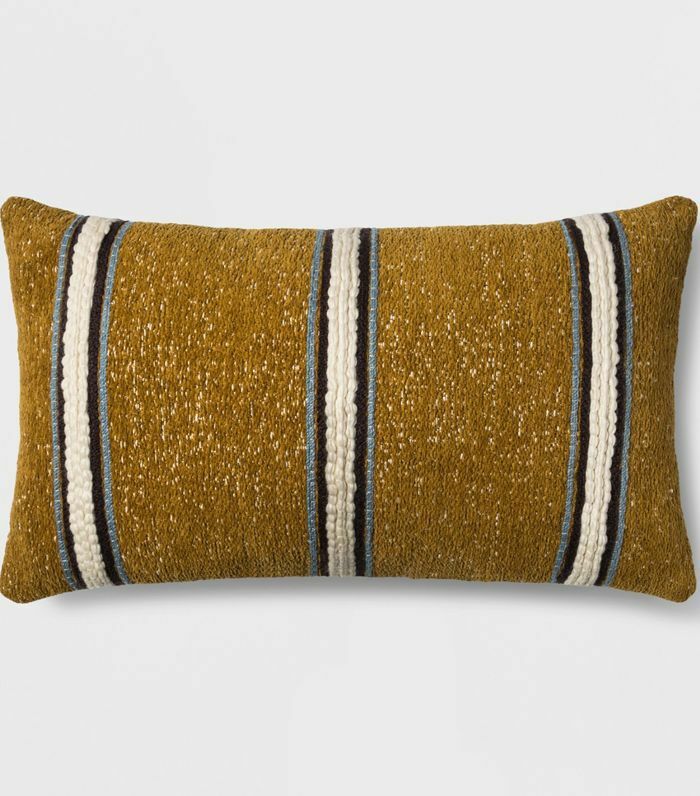 Cozy up your décor for the colder months with this striped lumbar pillow in a rich mustard tone. 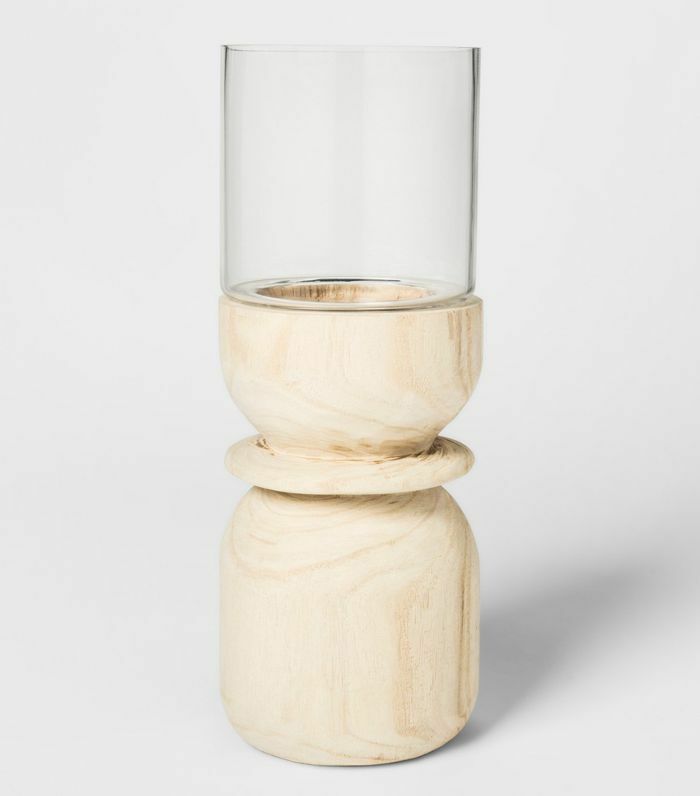 Add flair to your tabletop or mantel with these glimmering candleholders made from glass and wood. 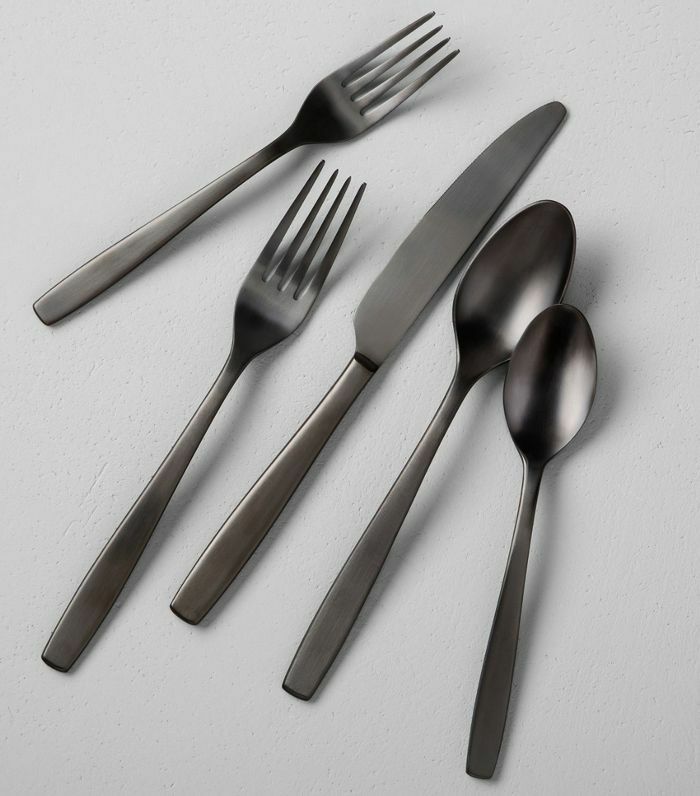 Give your Thanksgiving table an upgrade with this chic matte black flatware. 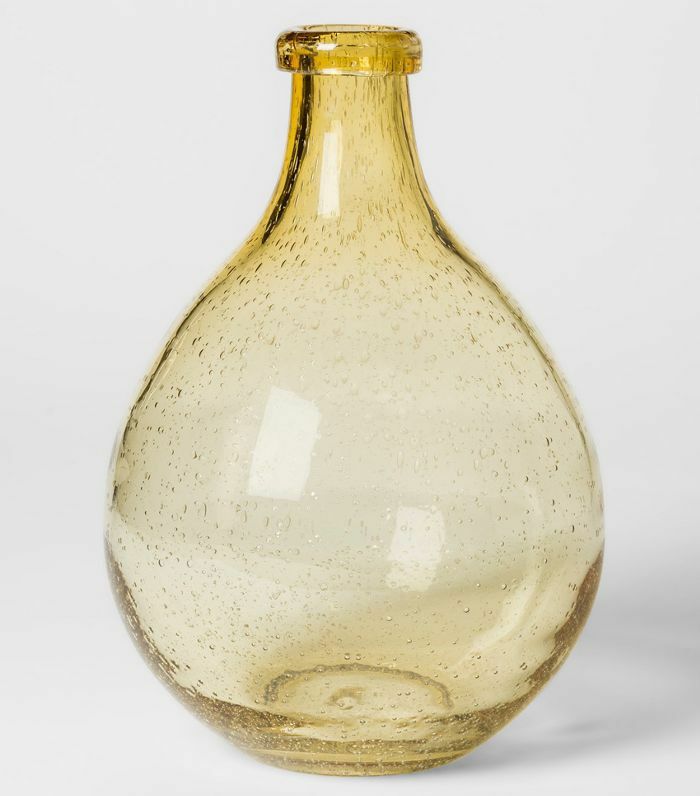 This bubbled glass vase would be perfect for holding fall foliage or a couple of floral stems. No more pumpkins at the local farmer's stand? 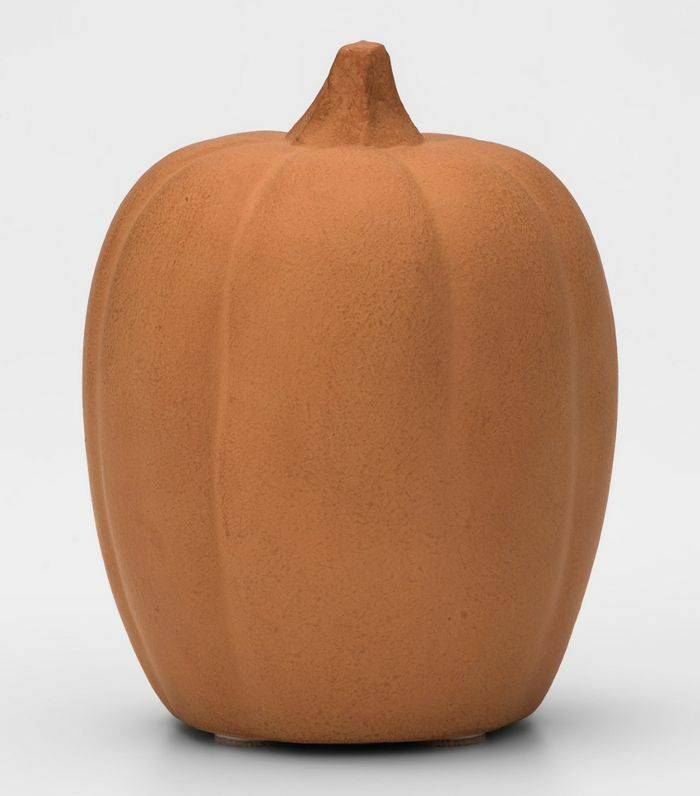 No problem—just pick up these terra-cotta pumpkins from Target. 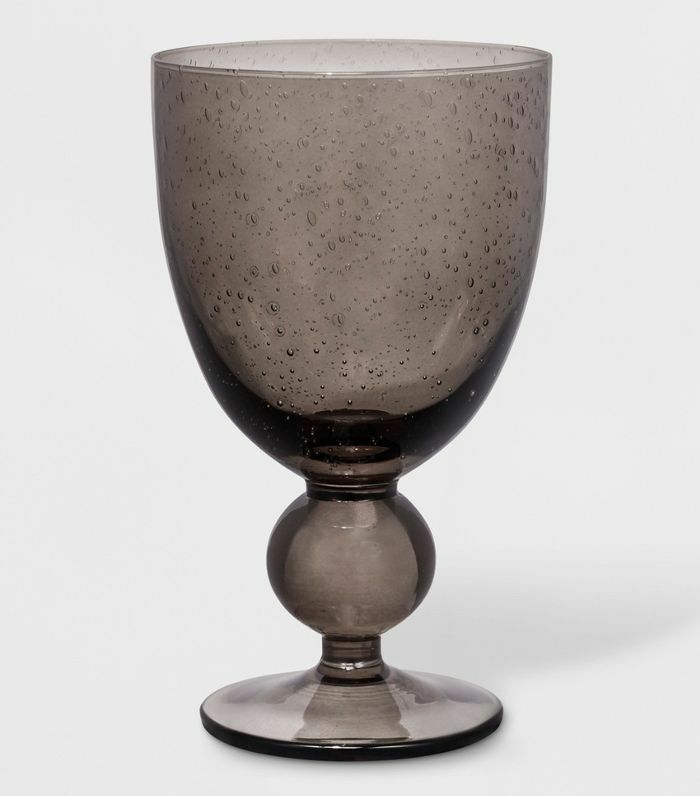 Give your Thanksgiving table an upgrade with these classic smoked glass wine goblets.